Even after all the reports about the Coen Brothers making their first TV show ended up being disproven, it’s astounding to see this kind of budget and prestige around what amount to a compilation of short films. 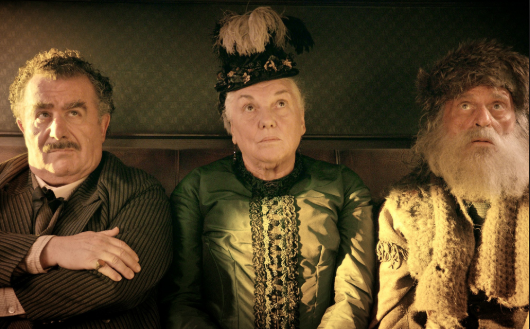 We dive into The Ballad of Buster Scruggs below, breaking down each “short film” within the larger one, and seeing how (or if) they hold together. The Coen Brothers always seem to return to the western in one form or another. Whether it’s an adaptation of a classic like True Grit or a more modern western in No Country for Old Men, the influence of the genre can be felt in almost all of their work. 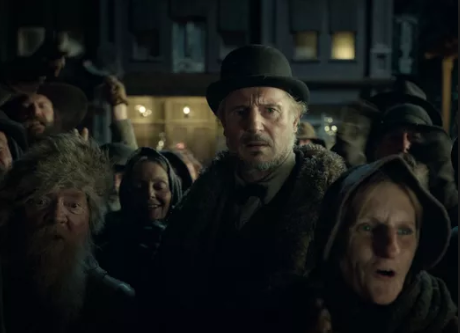 Their newest offering “The Ballad of Buster Scruggs” is an anthology film that features six stories taking place in the Old West. Each segment varies wildly in both tone and atmosphere creating an absurdist take that fans of the directors will adore. It opens up as a literal storybook, as if it were a real collection of American short stories, making it clear that this is not a gritty realistic look at the western but rather a celebration of its mythology. 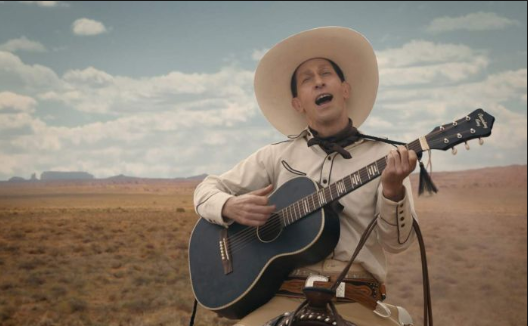 The first story shares the same title as the movie and follows Buster Scruggs (Tim Blake Nelson), a singing gunslinger, along his various misadventures. Scruggs manages to get himself into shootout after shootout with desperadoes, gamblers, and other challengers, always coming out the victor in increasingly absurd ways. The violent escapades are tongue-in-cheek and delivered with a good amount of slapstick. The short was written specifically for Tim Blake Nelson (right after “O Brother Where Art Thou”) and makes excellent use of the actor. The character manages to be both unassuming yet absolutely lethal. The Coens combine world building elements of both Peckinpah and Leone before contrasting them with our singing cowboy protagonist, representing the change from the idealized American West of Hollywood westerns from the 50’s to the merciless and violent world of the Italian and revisionist westerns. The second segment entitled Near Algodones stars James Franco as a bank robber who bites off a lot more than he can chew. 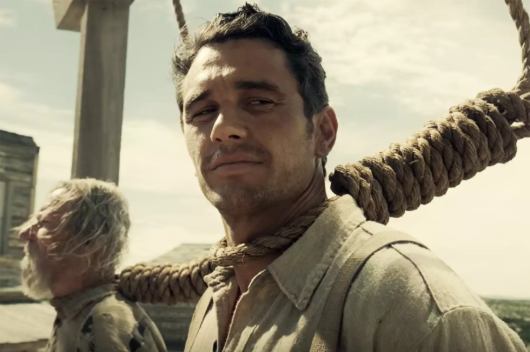 The segment maintains the similar dark but slapstick comedy of the first segment as Franco’s character encounters an insane bank teller (one of the film’s funniest moments) as well as angry Comanche and more than one hangman’s noose. While the segment certainly has some of the most effective jokes of all six segments, it doesn’t much differentiate itself in tone from the first story and effectively doesn’t leave as much of an emotional impact. Rather it’s more of a lighthearted distraction before the film begins to take a darker turn. The third story, Meal Ticket, is when the humor takes a backseat to more trademark Coen Brothers nihilism. Liam Neeson stars as an impresario who makes his money off a monologuing artist. The artist (Harry Melling) is missing both his arms and legs making him completely dependent on the impresario for eating, traveling, and relieving himself. Harry Melling brings a touching melancholy to the character; his eyes say everything you need to know. He knows how fragile his place is in the world and realizes he is nothing but a money-making tool to his caretaker. Despite some moments of dark humor, the segment is rooted in tragedy with a disturbing ending that is both inevitable and ironic. 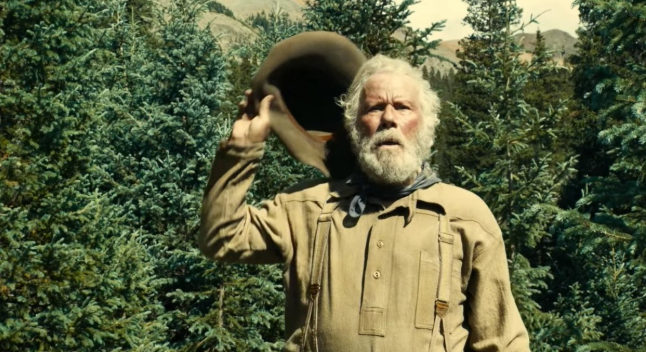 The Coens return to something more light-hearted in their fourth tale, All Gold Canyon starring Tom Waits as a prospector searching for gold. It’s mostly a one man show with a focus on mood and character rather than plot. The less revealed about this story the better, as it manages to be the most amusing and unexpected of the stories. The Girl who Got Rattled serves as both the longest and most emblematic of the stories presented. 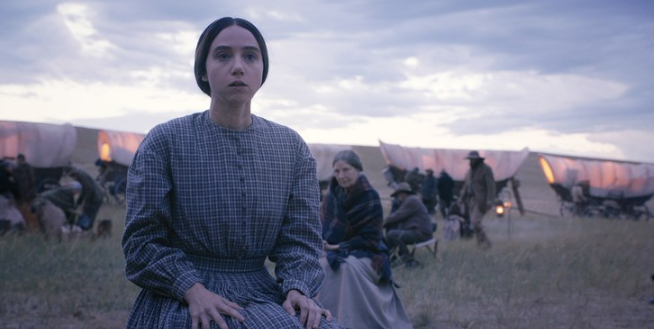 Lead by a fantastic Zoe Kazan, the story follows a woman joining a wagon train on a journey to a marriage, arranged by her brother. Slowly building as what first appears to be a more traditional romantic, John Ford-type western, it culminates in an irony that manages to be the most devastating of all the stories. The humanity brought to the story by its performers make it all the more painful. Its length suggests that with some tweaking it could have been a feature all to itself. The length is both its greatest strength and its greatest detriment as the added time allows for more identification with the characters than other segments. However unfortunately with it being the fifth of six parts, the length does begin to weigh on the audience, leaving you exhausted with still one story left to go. The final segment, The Mortal Remains, tries to tie up the previous stories into a final denouement on the nature of storytelling. Featuring a carriage ride with two strange bounty hunters, the final part focuses less on the violence of the previous segments and instead on something more atmospheric and surreal. It manages to have an eerie build-off that doesn’t really have much of a payoff. The ending will most likely leave the audience scratching their heads as the short introduces more ambiguous elements than it does tie up the other stories. Overall, Ballad of Buster Scruggs is a celebration of the western and everything it has encompassed. Every story reveals that the Coens truly understand the genre and how it ties into not only American tradition but also cinematic history. Whether the film is able to completely pull off its contrasting tones and stories is a little more tricky. Most dedicated fans of the duo will find themselves delighted by the traditional mix of dark humor, quirky characters, Americana, and absurd violence. Many others though will find it to be a hit-and-miss piece. While several of the segments land perfectly, others struggle with tone, pacing, and placement. However, little of that hinders the joy and authenticity brought to these tales. Each one feels like a story that’s been passed down, taking different forms every time their told. These aren’t stories that are about presenting a realistic take on the west, but rather stylized tales celebrating and analyzing the kind of lore it was built on. Ultimately the short films all add up to create a bold, bizarre and sometimes moving tribute to a beloved genre — the kind of short films only the Coens could make. Review by Miniflix guest writer Caleb Adams.